We at Jalopnik love burnouts. Big, vaporizing, cancer-causing burnouts. 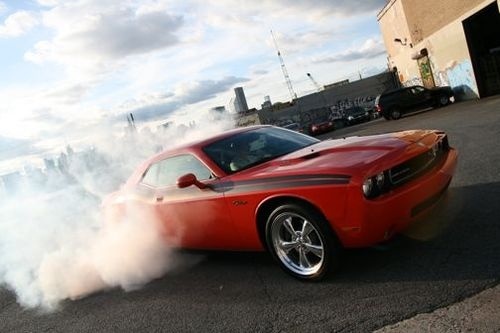 What's the best car for doing burnouts? We've got a lot of experience here and there was some debate about the merits of certain cars and their propensity for creating bleach-tinged smokescreens. It mostly comes down to personal preference, but everyone here enjoyed laying out a Dodge Challenger SRT8. I've actually done a (mostly unintentional) burnout in an SRT8 in reverse! 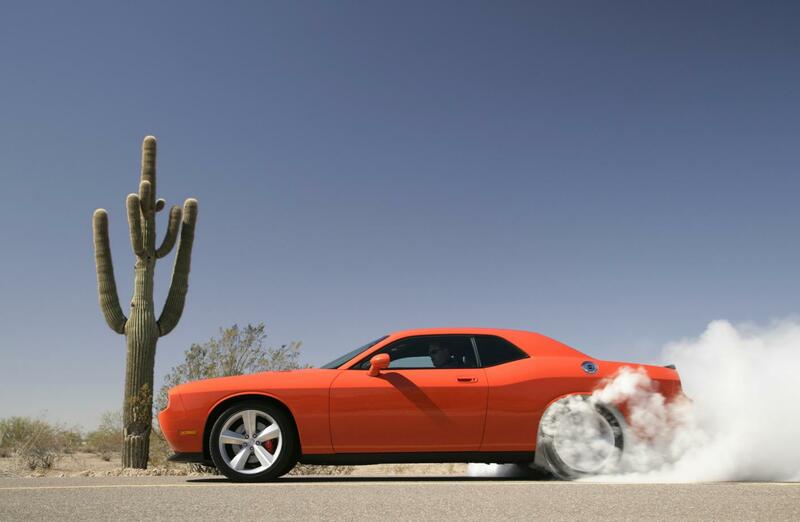 Other muscle cars have more power, more style, and more capabilities, but there's something crude about the Challenger lends itself to easy burnouts. Also, more of them seem to come equipped with automatics, making the maneuver that much easier. What's Up with the Dodge Web Site?